The Quebec immigration system is based on a “certificate system”. Applicants are required to submit an application. If successful, the government of Quebec will issue a Certificate of Selection. A holder of a Quebec Certificate of Selection does not exempt the applicant from federal immigration requirements and procedures, such as a medical and security checks. 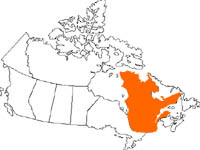 Applicants must pay the Quebec processing fees in addition to the federal processing fees. All applicants, intended to immigrate to Québec must submit an application either to a Service d’immigration du Québec (SIQ) outside Québec, or to a Canadian embassy, which will forward the application to Québec. Applicants must first complete a Preliminary Immigration Questionnaire and submits is to a Service d’immigration du Québec or a Canadian embassy. If the evaluation is positive, the Service d’immigration du Québec will forward the applicant a Selection Certificate Application form. The applicant then fills out the Selection Certificate Application form and submits it to the Service d’immigration du Québec . If the result is positive, the Service d’immigration du Québec invites the applicant to come in for a selection interview; if the result is negative, the Service d’immigration du Québec will send a refusal letter. If the applicant will recieve a Selection Certificate from the Service d’immigration du Québec which will be forwarded to the Canadian embassy. The Canadian embassy performs the health and national security checks. If the results of these checks are position, the Visa officer will issue an immigrant visa. If the results are negative a letter of refusal will be forwarded to the applicant. Application procedures can take 6 to 12 months. Similarly, the Canadian government (Citizenship and Immigration Canada) requires additional payment of fees to process permanent residency applications. Once immigrant visas are issued, the Canadian government also requires a right of landing fee. Nothing prohibits the federal immigration authorities from admitting to Canada an applicant who has been refused a Quebec Certificate of Selection or who otherwise is not in possession of a Quebec Certificate of Selection. Quebec Immigration Officials are afforded broad discretion by law. This discretion is exercised in such a manner to satisfy public policy objectives to favour Francophone immigrants. A Quebec Certificate of Selection may be issued where the selection criteria do not reflect the possibilities of the applicant to establish successfully in Quebec. 3. The establishment of the applicant in Quebec would be contrary to the public interest. The “public interest” provision is undefined and permits the Quebec immigration authorities to refuse the issuance of any Certificate of Selection. The applicant will be provided written reasons for the refusal. Quebec immigration law allows regulatory changes of the selection criteria without notice and with retroactive effect. The Minister may also decree without notice that certain occupations are no longer eligible for selection purposes, with immediate retroactive effect upon the inventory of Quebec-destined immigration applications.